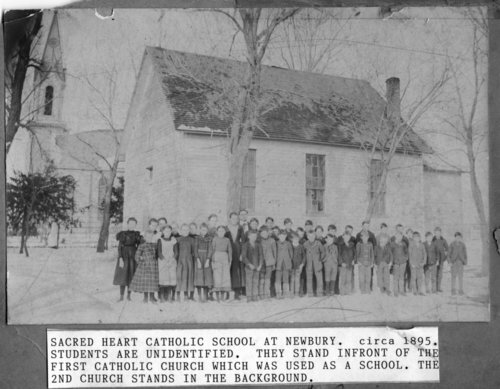 Photograph of a group of students standing in front of the Sacred Heart School in Newbury, Kansas. The students are unidentified. They stand in front of the first Catholic Church which was being used as the school. The second church stands in the background.